Morris Fenris | Author of "A Lifetime"
I haven’t been posting much because I’m working hard on a few new releases. “A Lifetime” is out, as are two collections of short stories, but there will be a few more titles in the coming weeks — though I can’t give too much information away just yet. My book, A Lifetime, is now available on Amazon Kindle! I was working on a book recently and stopped myself when I realized I used an idiom which, on the face of it, I thought nothing about; I’ve heard it used for a long time and it’s worked its way into common usage, but in reality, it makes very little sense. So, in a mission of procrastination and Wikipedia link clicking, I ended up going down a rabbit hole of etymology, creating waves of “ooh” and “really?” on the way. Both of these terms, surprisingly enough, come from the famous medieval pastime of falconry. I always imaged that wrapped around your little finger was self-explanatory, that it was referring to complete control over having someone neatly wound around a small and insignificant part of your body, but it actually refers to the process to make sure the bird stayed on the glove; wrapping string around its feet and then winding the string around your little finger to give you complete control of the falcon. If you’ve ever held a mischievous or uncooperative parrot/bird, you’ll recognize under the thumb as the method of placing your thumb over its claws once it’s in your hand, ensuring that it doesn’t fly away. Typically used to refer to someone as a lost cause, this saying allegedly comes from the Great War when soldiers who lost their arms and legs had to be carried around in baskets. Incredibly depressing, but there’s a lot of mystery surrounding this saying so there’s a good chance it isn’t true. These two come from the Romans. Getting up on the wrong side of the bed stems from their belief that it was bad luck to get out of bed on the left side; if you did, you were if in for one hell of a day. Wrong end of the stick is a little more disgusting. As a substitute for toilet paper, the Romans used a sponge or a piece of cloth on the end of the stick. This often sat in a bowl of salted water before and after use, and was passed around when needed. If you weren’t paying attention when someone handed you the stick, there was a good chance you could grab the wrong end. I’ll leave the mental imagery with you. It seems that mum, meaning mother, has nothing to do with this saying. The mum here comes from an Old English saying which, simply put, means silence. This is another one that dates back to medieval times, this time in the fares and marketplaces where livestock was sold. Pigs were expensive and cats were cheap so after customers chose their pig to take home, an unscrupulous seller could bag it for them and switch it with a pre-bagged cat. If the buyer opened the bag there and then, they could expose the con by letting the cat out of the bag. If they left it until they got home, it was probably too late to do anything. My book, 50 Indian Moral Stories for Children, is out now on Amazon Kindle and is free through today and tomorrow. A Lifetime, my other book, should be out within the next few days, I’m just sorting out a few things. There has been a delay with the release of my book (it seems the publishing process never runs smoothly) so, whilst I am left on tenterhooks, I thought I would compile another short list of hotly anticipated releases, this time in the movie world. The second part of The Hobbit Trilogy is due for a worldwide release on the 11th of December and is sure to be a box office hit for its co-writer, producer and directer Peter Jackson. 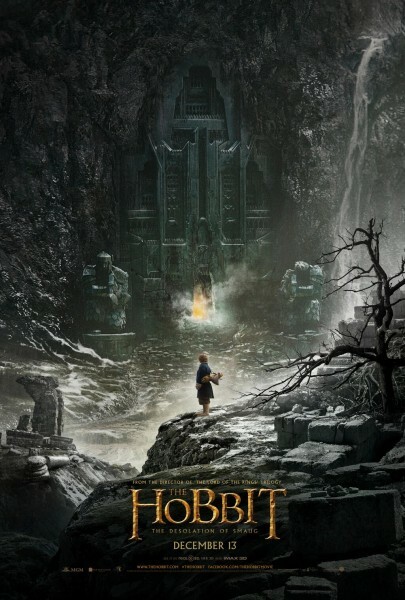 The Hobbit: The Desolation of Smaug continues the adventures of Bilbo Baggins as he journeys with the Wizard Gandalf and thirteen Dwarves, on an epic quest to reclaim the lost Dwarf Kingdom of Erebor. It has been 9 years since the release of the hilarious Anchorman film, and on the 20th of December, just in time to fill the Christmas seats at the box office, Ron Burgundy returns for a second installment. This time the intrepid newsman is in New York, working on the first 24-hour news channel. With appearances from Vince Vaughn, Steve Carell, Jim Carrey, Sacha Baron Cohen and Tina Fey, Anchorman 2 promises to be comedy gold. The sequel to The Hunger Games is due for release at the end of November and follows Katniss Everdeen as she returns home from her success in the Annual Hunger Games. The novels by Suzanne Collins, on which the film is based, have sold over 50 million copies in the United States alone. Who doesn’t love a good monster movie? In May 2014 cinema-goers will be treated to a retelling of the Godzilla story with Breaking Bad’s Bryan Cranston playing the lead role. Set fifteen years after the events of the first film, Dawn of the Planet of the Apes continues the story of how a group of genetically evolved apes presided over the fall of human civilization. Due for release in the summer of 2014. The book that has sold millions and divided opinion worldwide, is currently being adapted for our screens and will be released in August 2014. Whether you love it or hate it, it’s hard to ignore the figures (70 million copies have been sold worldwide) and the film is sure to follow suit. 2014 also sees the release of additions to the Paranormal Activity, Transformers and X-Men franchises; sequels to Horrible Bosses, The Woman in Black and The Amazing Spider-Man; the third Night at the Museum film and the completion of The Hobbit trilogy. This business of publishing and promoting has kept me busy beyond belief, but I still found time to put the finishing touches to another project I have been working on for a while. I won’t say much for now, but that project should be released in the next few weeks and can be enjoyed by all ages… it’ll all be revealed in time. For now, A Lifetime is moments away. I am amazed I managed to complete another project to be honest, although luckily most of the work had been done a few months back. To all my fellow authors out there, how did you fill the time between stressing and promoting? A Song of Ice and Fire is a series of epic fantasy books by George R. R. Martin that first made an appearance back in 1996, with Game of Thrones. The series has sold over 15 million copies worldwide and has seen spin offs in video games, board games, card games and on television. The sixth novel, The Winds of Winter, is due for release some time in 2015. It has been fifteen years since Helen Fielding released the last Bridget Jones book, but the sultry, hapless heroine is due to make a long awaited reappearance in October with Mad About the Boy. This forthcoming release earned the author of the sitcom “Girls” a $3.7 million advance. The book is going to be a compilation of essays of everything from dieting to dressing, it doesn’t sound like the makings of a bestseller but it’ll need to do something special for the publishers to recoup their money. Not That Kind of Girl is due for release on October 10th. This hotly antiquated title is due out in a little under two weeks. 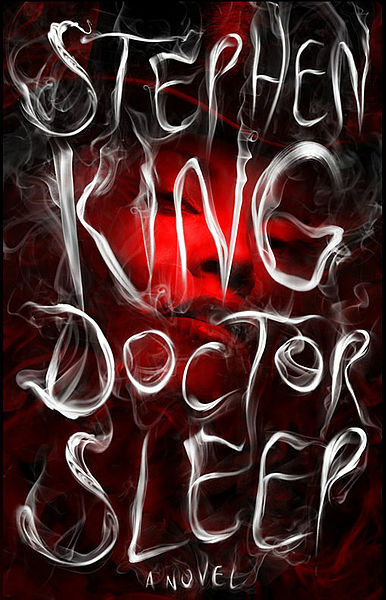 Doctor Sleep is a sequel to the 1977 hit The Shining, and has had King fans trembling in excitement since it was announced back in 2009. The reclusive author of Catcher in the Rye wrote many books throughout his lifetime that he never sent away for publication. If his biography Salinger, is to be believed, we can expect a series of his books to be released from 2015 through to 2010. 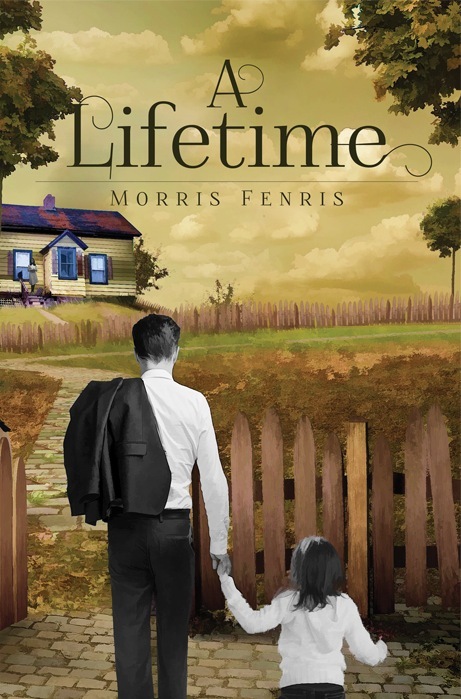 Morris Fenris · Author of "A Lifetime"